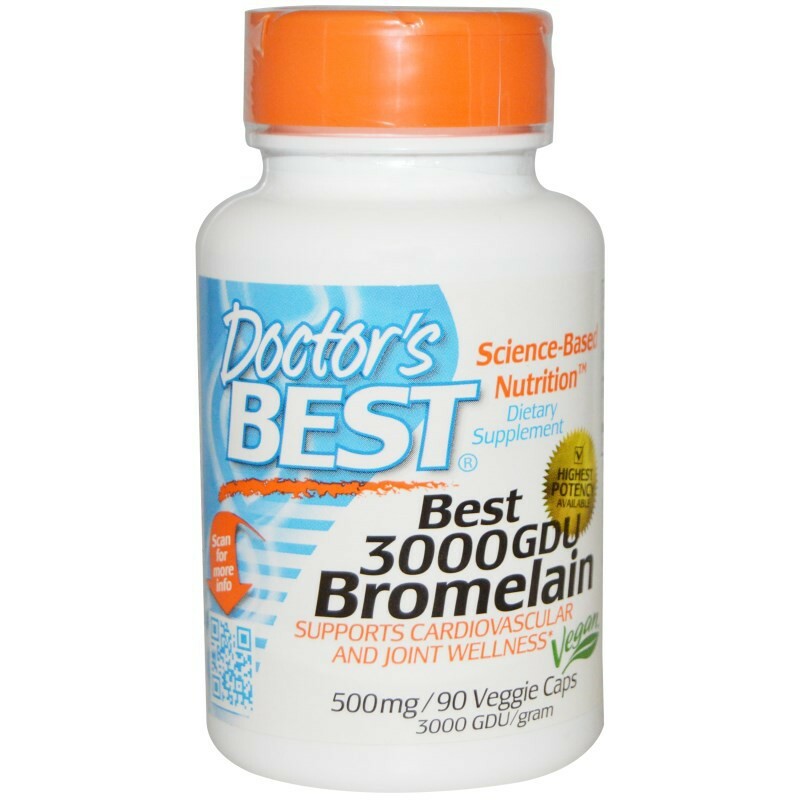 Bromelain is an enzyme derived from pineapple stem and fruit that has proteolytic (protein-digesting) properties. Bromelain is an enzyme derived from pineapple stem and fruit that has proteolytic (protein-digesting) properties. 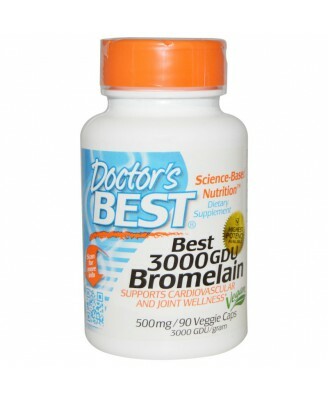 The bromelain found in Best 3000 GDU Bromelain is the most potent form of this enzyme found on the market. The 3000 GDU refers to the standardization of enzymatic potency and reflects the quality of the raw material used in the product. 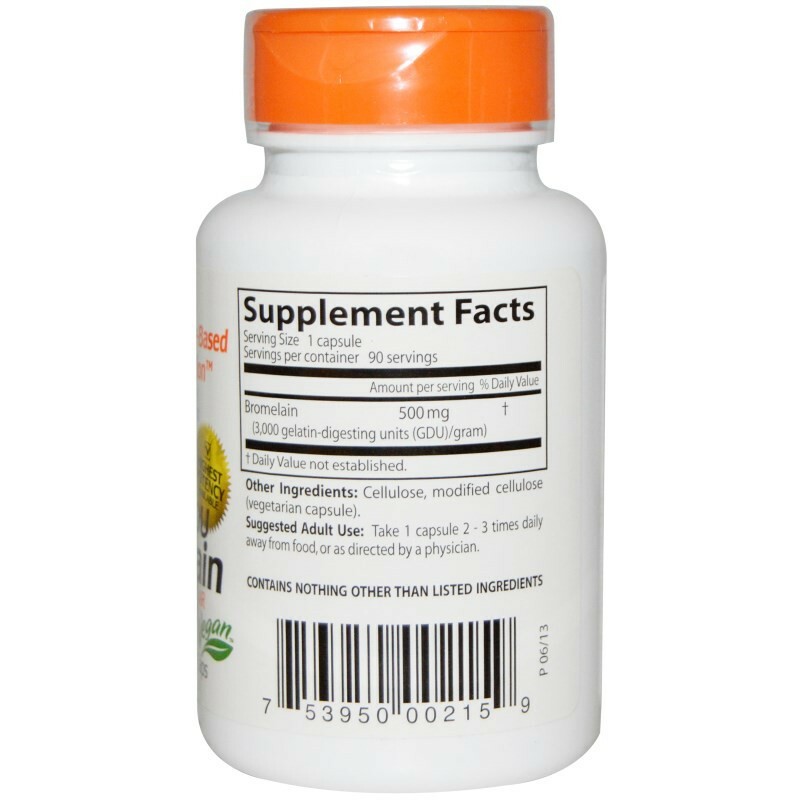 Adult Use: Take 1 capsule 2-3 times daily away from food.